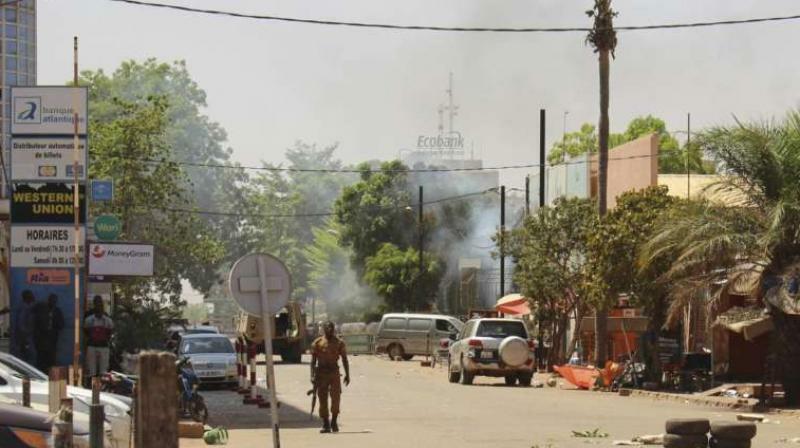 Ouagadougou: A Mali-based al Qaeda affiliate claimed responsibility on Saturday for attacks in neighbouring Burkina Faso that left 16 people dead, including eight gunmen, at the army headquarters and French embassy, Mauritanian news agency Alakhbar reported. "In these difficult moments, I would like to reaffirm to Africa and the entire world my unshakeable faith in the capacity of the Burkinabe people to preserve their dignity and ferociously oppose their enemies," Kabore said. "If the army headquarters is totally wiped out there is a problem," said Souleymane Traore, director of the newspaper Le Quotidien. "We are really revolted by this insecurity and we must point the finger at those who are responsible."